HYDRATION HEAVEN. Banish dry hair in just 3 minutes. 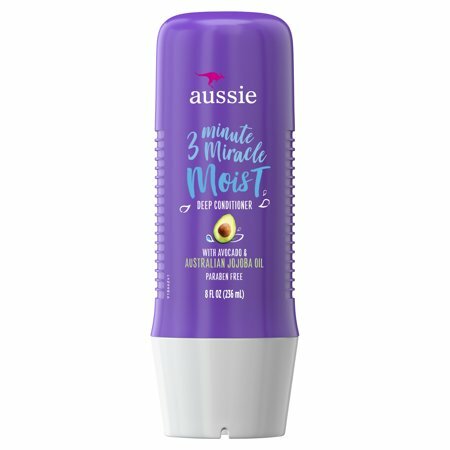 Aussie Miracle Moist 3 Minute Miracle Deep Conditioner absorbs quickly to transform struggling strands into silky, shiny waves. This rich, creamy formula is infused with avocado and Australian jojoba oil and is great for all hair types. Massage into clean, wet hair, wait 3 minutes and rinse. You'll emerge from the shower with hair that looks great and smells even better! Instructions: Weekly, work into clean, wet hair. Wait 3 minutes then rinse, dry and bask in your miraculous hair. This stuff is great for Long Hair, I've Tried Many, and this is my favorite. Others must like it too, as it's often out of stock, so when I see it I allways snap up multiple bottles (especially when on sale). It leaves my hair soft, and tangle free. I've reccomeded it to many friends as the best conditioner for long hair, colored, damaged hair or really dry hair. Definately worth the money. I am late 50s I have long hair with grays and have a lot of meds in my body which effect my hair .after 1 3 min miracle I could put a comb in my hair without any tangles. and the way my hair smells sooooo good.thank youi would love some samples. This is an awesome conditioner without the heavy weight like normal moisturizing conditioner. 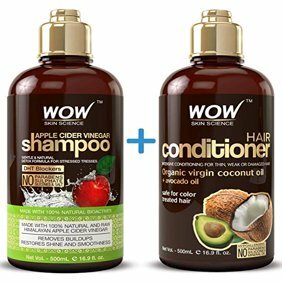 Great for conditioning natural hair.